East Ventura Animal Hospital is proud to offer an extensive selection of veterinary care services to residents of Ventura, CA. Our team of highly trained, professional veterinarians is dedicated to the health and wellness of pets. With years of experience and a commitment to ongoing training and development, you can count on our veterinarians to always provide care that is compassionate and informed. Dr. J. Elaine Fowell has lived in Ventura since 1986. She has 2 daughters, one attended Foothill Tech and the other attended Ventura High School. They are now graduated from college. Dr. Fowell’s husband is also a Veterinarian. Dr. Fowell has lived with numerous pets’ including cats, dogs, fish, tortoises, box turtles, rabbits and guinea pigs. Dr. Fowell’s professional interest includes surgery, ophthalmology and small mammals. In her free time she enjoys gardening, hiking, skiing, cooking and bike riding. Dr. Fowell received her Bachelor of Science from The University of California at Los Angeles (UCLA) and her Doctor of Veterinary Medicine from the University of California at Davis (UCD). Dr. Bohman was born and raised in beautiful Southern California. She has 2 children, a son (Ian) and daughter (Morgan) that keep her running. Dr. Bohman's husband is an oral surgeon practicing in Ventura. Her pets include a black lab named Gurdy, 2 bunnies, Charlie and BunBun, a cat named Mengi and a tank full of fish. Dr. Bohman's professional interests include dentistry, internal medicine and dermatology. Her free time is spent traveling, scuba diving, walking her dog, skiing, swimming, and volunteering at her kids school. 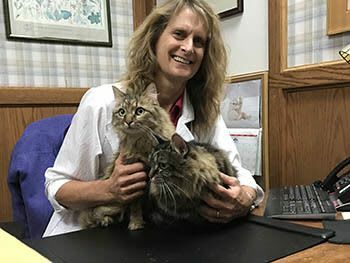 Dr. Bohman received her Bachelor of Science from Cal Poly at Pomona and her Doctor of Veterinary Medicine degree from Iowa State University, (ISU). Dr. Pelayo was born and raised in Simi Valley and most of her family still resides there. Her love for animals began as a child while growing up with all sorts of animals including dogs, cats, rabbits, rats, fish, birds, and even opossums. Today her family includes a cat named Little Jay, who was hand raised so many years ago and Sky and Ozzy, two very feisty Australian Cattle Dogs. Dr. Pelayo is also very happily married and has a sweet little girl. She will become a big sister soon and everyone is so excited! Dr. Pelayo’s professional interests include surgery and general practice (because you get to help and see a little bit of everything everyday). She feels very blessed to have such a rewarding and awesome career and can say she loves to come to work everyday. When she is away from the hospital she enjoys spending time with her family and throwing Frisbee for her two dogs. 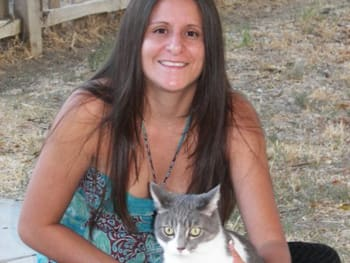 Dr. Pelayo received her Registered Veterinary Technician License from Peirce College Los Angeles and Bachelor of Science and Doctor of Veterinary Medicine degrees from the University of California Davis. Dr. Lopez ¬ knew that she wanted to become a veterinarian at age 5 when she was visiting family in Mexico. She loved interacting with the farm animals and knew she wanted to help all of them, especially the puppies and calves. Dr. Lopez’s passions lie in educating clients on preventative medicine and soft tissue surgery. Dr. Lopez joins East Ventura Animal Hospital from Santa Barbara. She graduated from Ross University with her Doctor of Veterinary Medicine degree and completed her clinical year at Texas A&M in 2018. Dr. Lopez received her undergraduate degree in animal science from UC Davis. Before attending veterinary school, Dr. Lopez was a veterinary surgical assistant for over 5 years in the Los Angeles area. 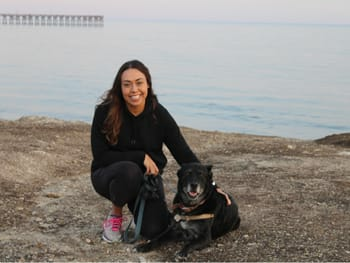 When Dr. Lopez isn’t treating her patients, she can be found running on the beach, socializing with family and friends and traveling to new places. Some fun facts about Dr. Lopez are: she has bungee jumped in South Africa, she completed the 2009 LA Marathon and she was her high school mascot. Dr. Ivy Thomas graduated from Ross University School of Veterinary Medicine in 2007. She is originally from Mississippi and moved to Southern California after graduation for undergraduate studies at San Diego State University. Prior to veterinary school she was a registered veterinary technician at a small animal referral and exotics practice for almost 6 years. She has done clinical externships at Louisville Zoo, Henry Doorly Zoo in Nebraska, Wildlife Safari in Oregon, and Phoenix Zoo. 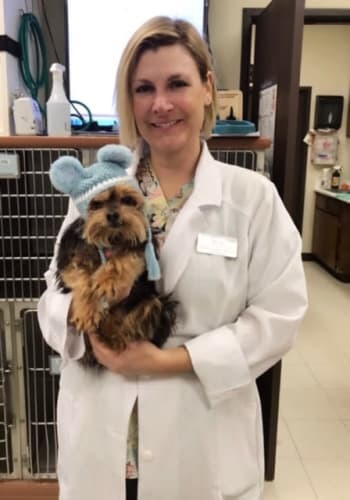 Immediately after veterinary school she did a small animal/wildlife medicine and surgery internship at Sonora Veterinary Specialists in Phoenix, AZ and stayed on for a short time as one of their emergency clinicians. She then did an exotic medicine and surgery internship at Avian & Exotic Animal Clinic of Arizona. She has since worked as a small animal and exotics clinician around the valley in Phoenix, Arizona. She has volunteered her time providing medical services throughout the years to Southwest Wildlife, Phoenix Herpetological Society, several shelters, as well as RAVS trips through the humane society. 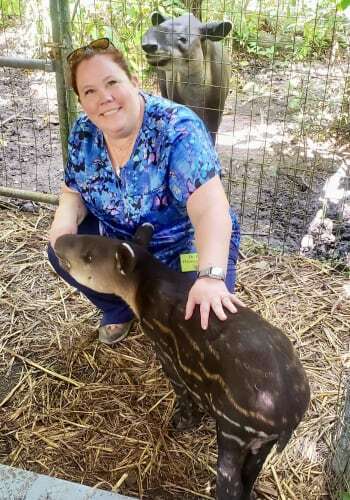 Since 2010 she has been one of the consulting veterinarians for the Belize Zoo taking veterinary students from Ross University, as well as most recently Midwestern Veterinary School. She is excited to move back to California and work with small animals and exotics. In addition to her passion for veterinary medicine, her interests include conservation and teaching. Her hobbies include traveling with her husband, they have hosted foreign exchange students in their home for 4 years, playing with her many animals, writing, painting/crafts, dancing, hiking, camping and going to the beach.